USA Triathlon has announced its first-ever Ambassador Program, comprised of 44 multisport athletes who have represented Team USA in international age-group competition. USA Triathlon Ambassadors will provide resources, advice and inspiration to aspiring athletes in their local communities, using their collective stories and experiences to grow multisport participation nationwide across the US. Ambassadors are tasked with hosting at least three presentations in their communities over the course of the year, which may include school visits, skills clinics and Q&A sessions. 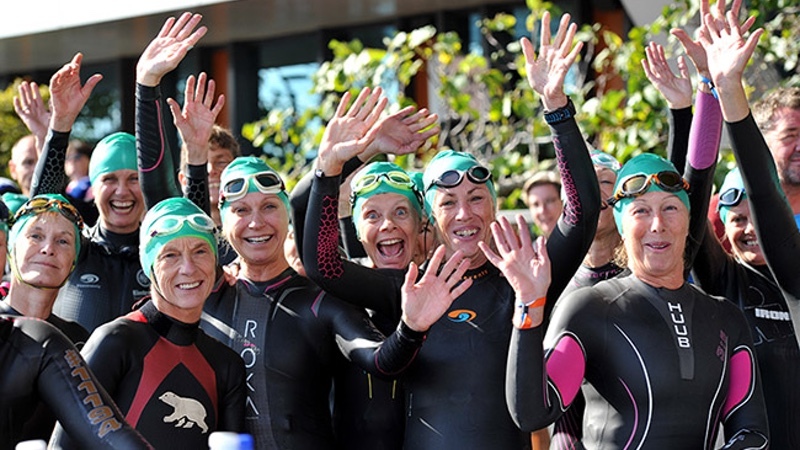 These events are meant to introduce prospective and beginner triathletes of all ages to the sport, as well as provide helpful resources for training and racing. Each ambassador will also nominate a support team to help plan the presentations and build interest in the multisport lifestyle. Of the 44 ambassadors who successfully applied through a comprehensive nationwide selection process, 30 are women and 14 are men. They hail from 20 different US states, with California being the most-represented, and range in age from 17 to 87. Ambassadors were selected based on their background in multisport – with the prerequisite of having competed for USA Triathlon’s amateur Team USA – as well as their commitment to the program and innovative ideas for recruiting new participants. In addition to the presentations, USA Triathlon Ambassadors will also be available on a regular basis to answer training and racing questions via email or social media. Some ambassadors will focus on specific disciplines of multisport, including triathlon, duathlon, aquathlon or aquabike, while others will focus on topics such as weight loss or mental training. Sue Reynolds (Bloomington, Ind. ), a member of Team USA who competes in the women’s 60-64 age group, wants to help others achieve the dramatic weight loss that she experienced when she started the sport.